Yesterday I made a quick stop-off at Balyang Sanctuary on the banks of the Barwon River, and it was there I saw this Australian Pelican, (Pelecanus conspicillatus), sleeping on top of one of the nesting boxes. As I moved closer to get this shot I could see it actually had an eye on me. 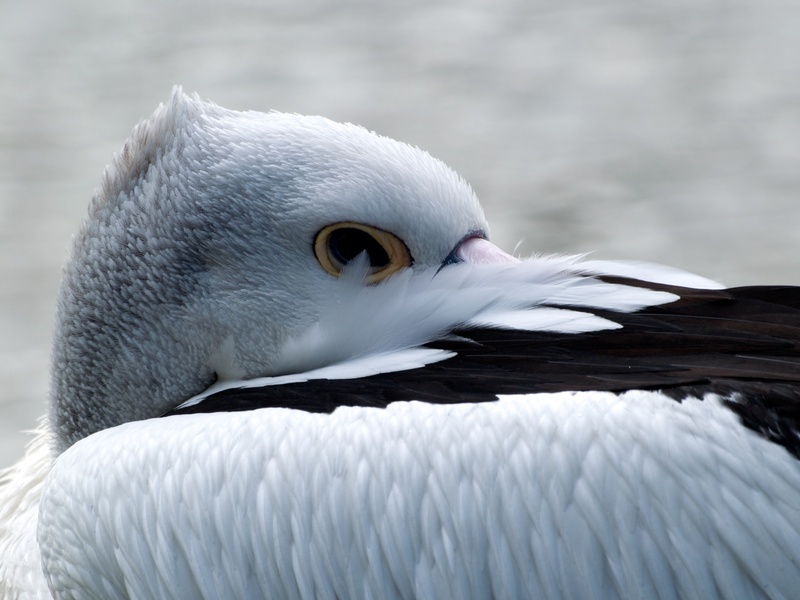 A Sleeping Pelican – Keeping an eye on me! 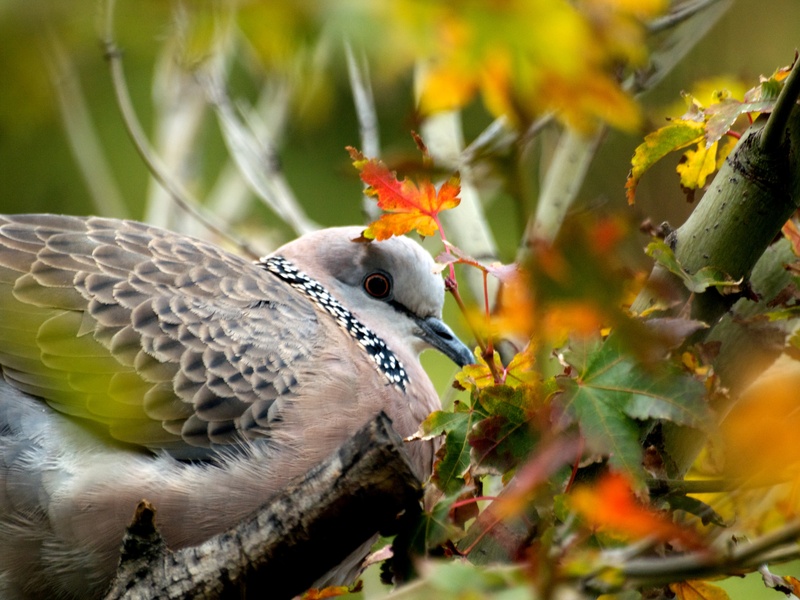 The following photograph is of a Spotted Turtle-Dove (Streptopelia chinensis). They are a small bird of about 31.5 centimetres. 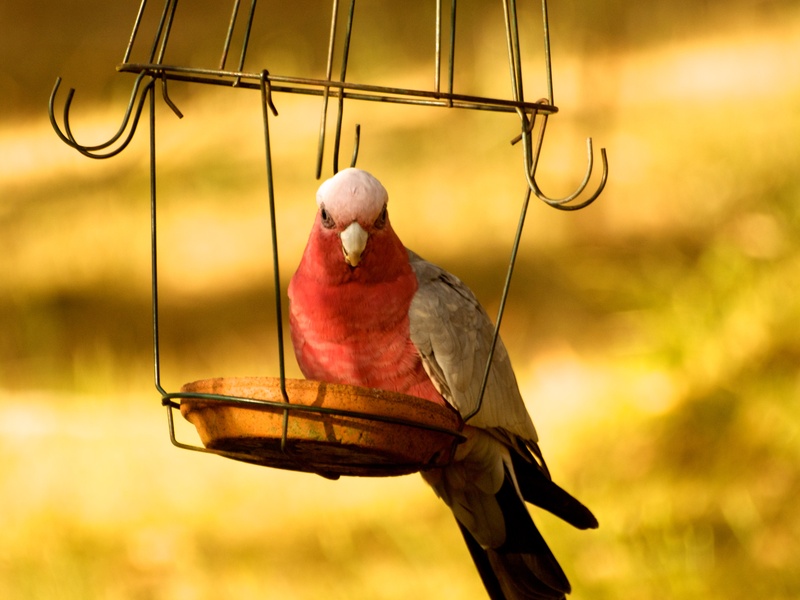 Their voice is a musical “Coo” and Turtle-Doves can be heard and seen in cities and suburban gardens and parks. Spotted Turtle-Doves are also found in the grain growing areas of coastal eastern Australia. 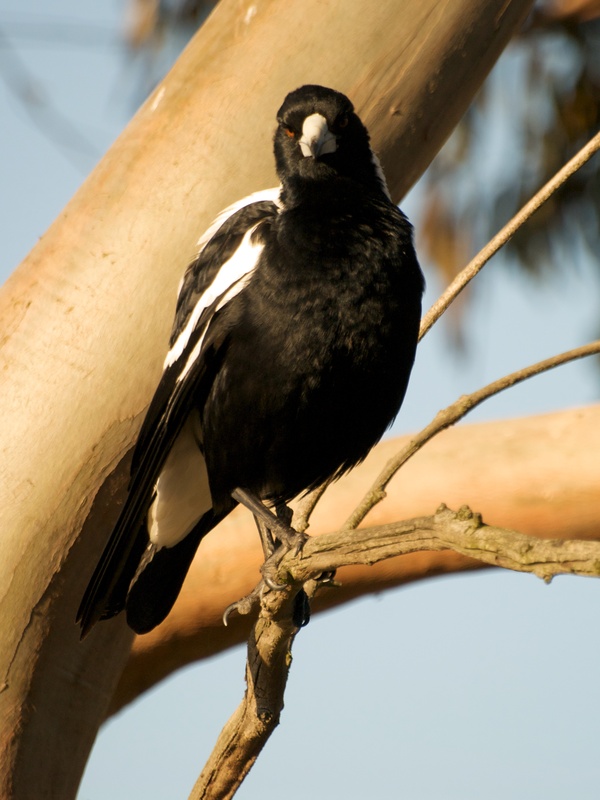 The nape and back of the neck is black with white spots. Spotted Turtle-Dove: With its necklace. The following photograph is from my walk through the Botanic Gardens yesterday. 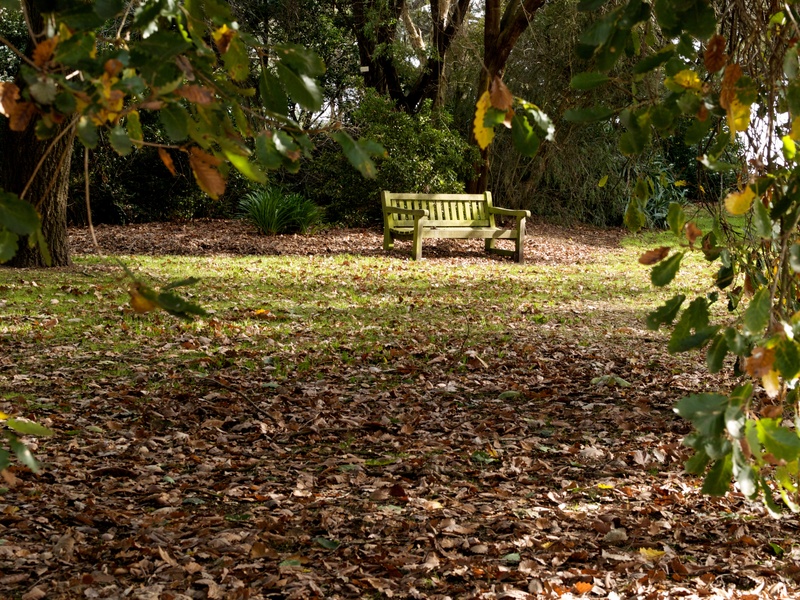 Several years ago I began a project which I called Empty Seat in the Park and every now and then I add an image to it. 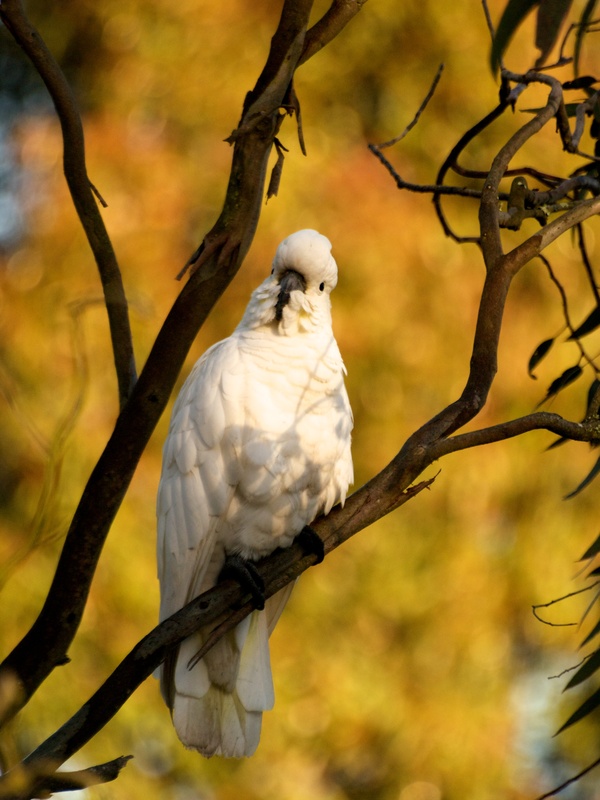 Yesterday I found myself at Balyang Sanctuary which is on the banks of the Barwon River in Geelong the second largest city of the State of Victoria, Australia. 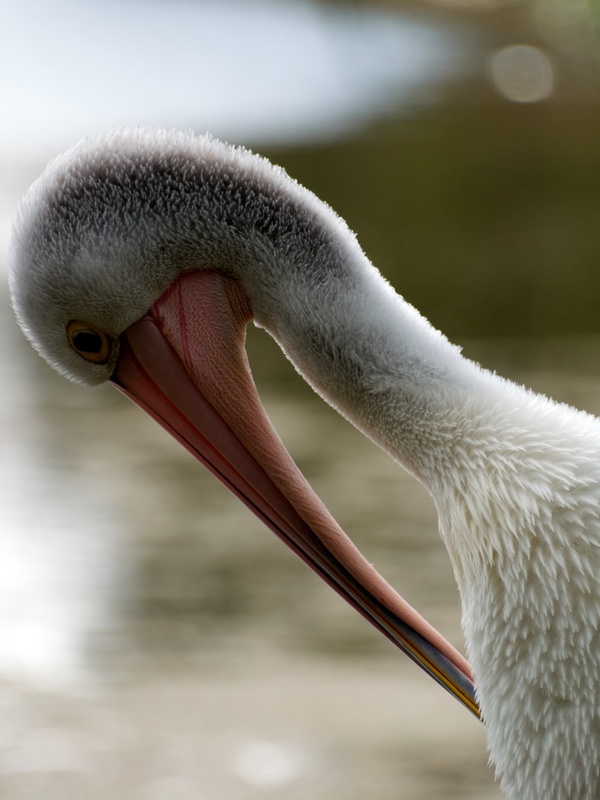 This Australian Pelican (Pelecanus conspicillatus) was sitting on a nesting box preening itself. Over the last few days I have been reviewing my library of images. 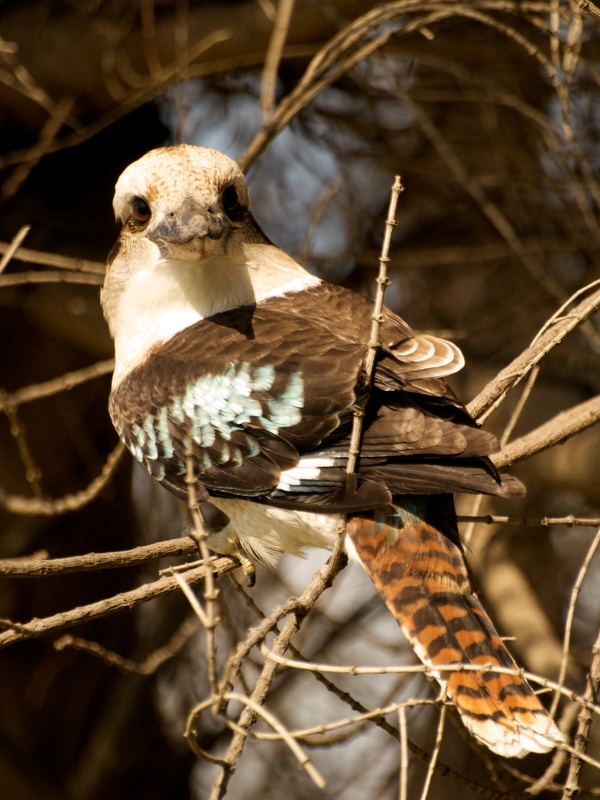 Here are a few bird photographs that I like – the reason? I just love the look on the face of these birds when they looked me in the eye. 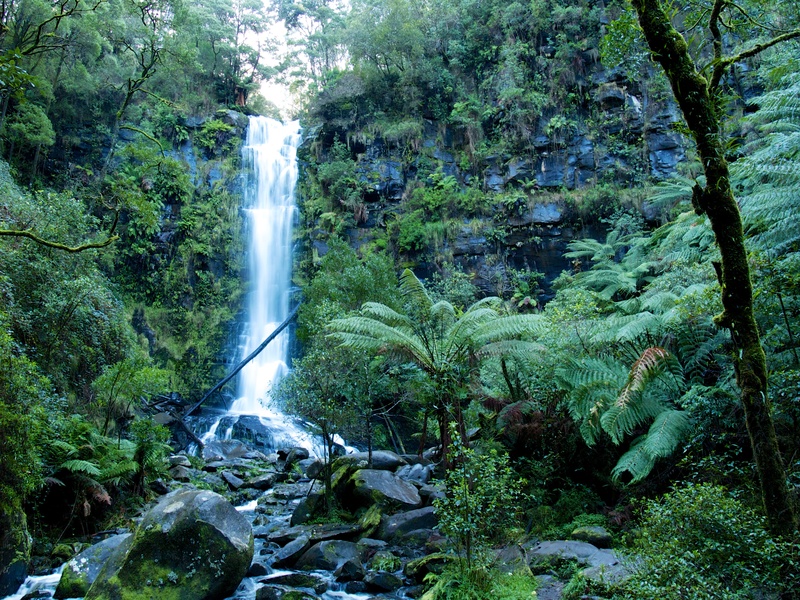 The Erskine Falls are situated in the Great Otway National Park. 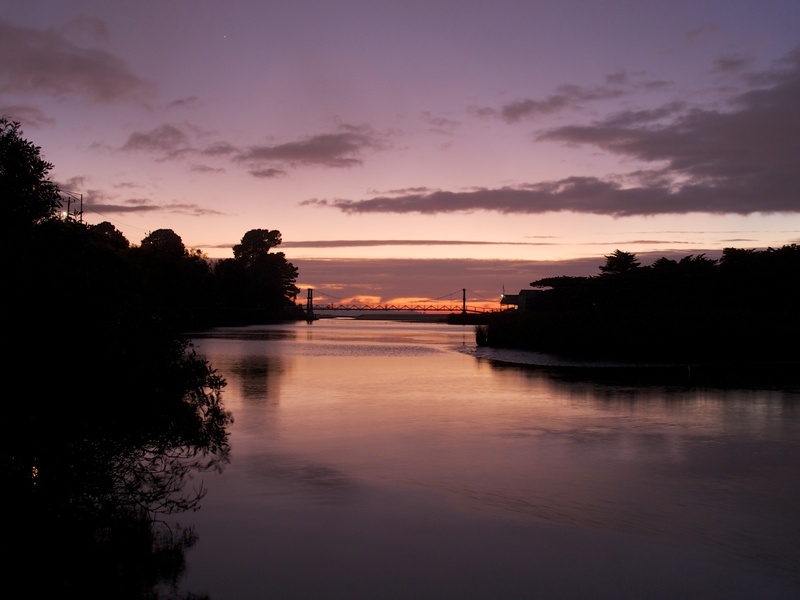 The following three photographs were taken at sunrise at one of my favourite locations – the Erskine River. Despite the rain (and my fear that a colourful sunrise would not occur) I believe these images tell the story of a winter sunrise. For the second image I changed location. Taking up a position on the Old Swing Bridge the picture I had in my mind was a colourful sunrise with the colours reflecting on the water as the river flowed into the sea. I took several images, but as I snapped this one, I knew it would be the one I would publish. This photograph has the colours of the sunrise at its most vibrant. 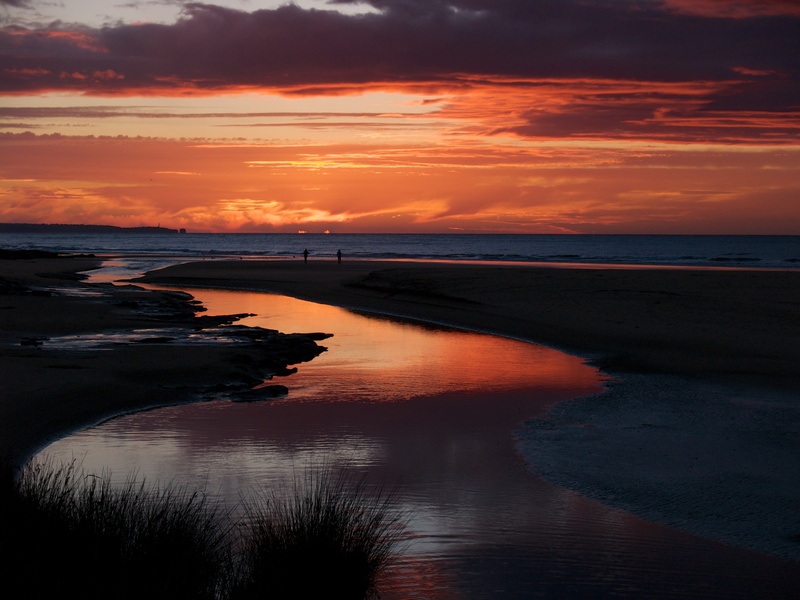 The vibrant colours of sunrise – Erskine River. 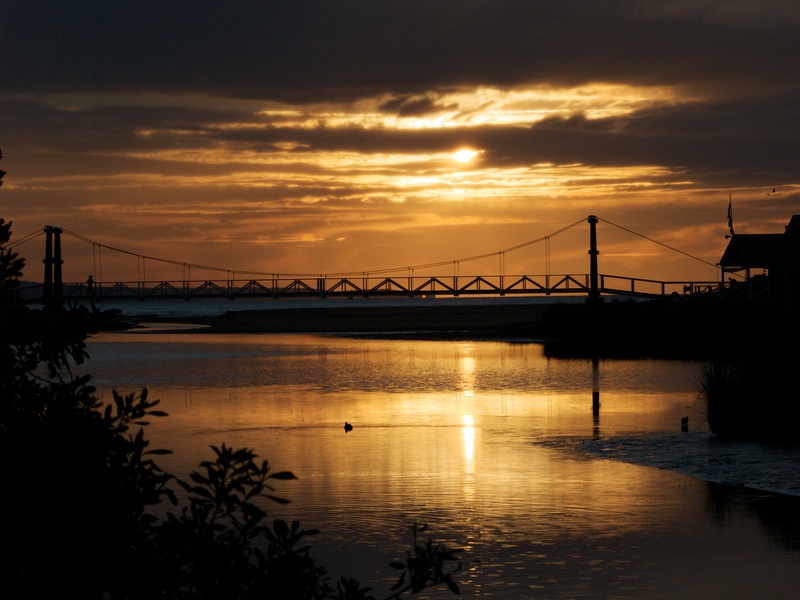 The third image was taken when the sun was higher and the vibrant colours of the sunrise had been replaced by a subtle golden glow. TIP: I was once given a very good piece of advice: “Remember – under exposure is your friend.” To obtain the best results in the second and third photograph I set the EV in the camera to -0.7. This little trick works very well for sunrise and sunset images by intensifying the colours.